NEW YORK– When in New York, do as New Yorkers do. That’s exactly what the Cavaliers did on Monday morning as they took the subway from their shootaround back to their hotel. They were faced with either a 45 minute bus ride, or a six minute ride on the train. “Trying to be like real citizens man,” J.R. Smith says in the video. They continued to document the actual journey on the train itself. 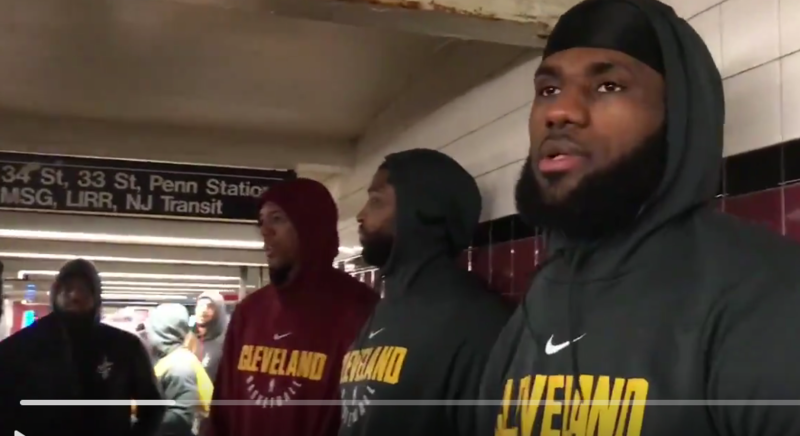 Arguably the best part about the clip below is the “Can you not?” subway man, as Twitter has dubbed him, who clearly has no idea that the man sitting next to him filming is LeBron James. The commuter got so annoyed that he actually got up and left, off to the green pastures of Twitter stardom. The Cavs tip off against the Knicks at 7:30 p.m.